Food, Wine, and Miles: There's Great Food and Wine in Greensboro! There's Great Food and Wine in Greensboro! The last time I ate there, I thoroughly enjoyed the food, the wine, the ambiance, and the friendly service - really an all-around fantastic restaurant. For my appetizer, I ordered the seared ahi tuna, which came topped with a micro green salad, and was served atop a black bean and corn cake. The tuna was fresh and nicely-seasoned, and the lightness of the salad balanced the richness of the black bean and corn cake (which was just sweet enough - but not too sweet). A really, really nice appetizer - and I especially liked the addition of black beans to the corn cake. 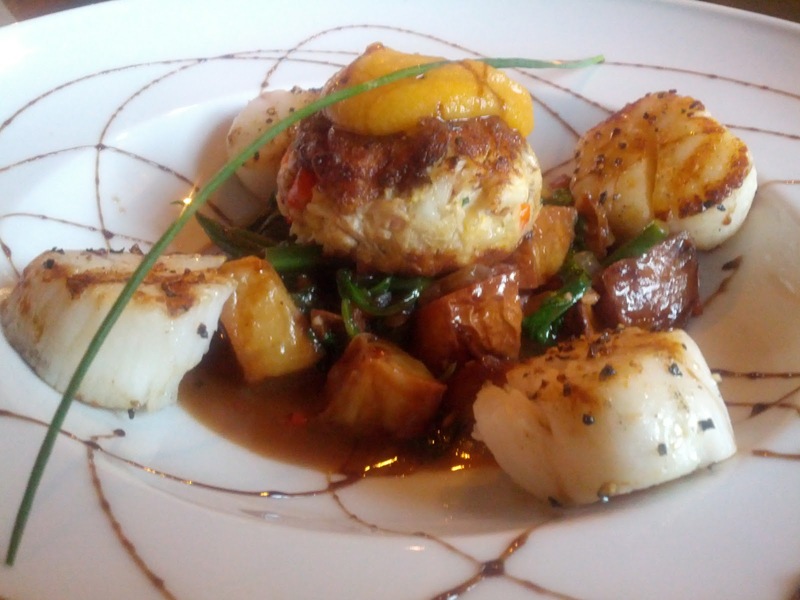 For my main course I ordered the seared scallops and crab cake entree, and it was also quite good. I might've liked a bit more of a sear on the scallops, but they were plump and firm and otherwise cooked just right. The crab cake was also a real treat - not too much filler (a real pet peeve of mine when it comes to crab cakes), and a very nice, crabby taste. On my waiter's suggestion, I enjoyed a nice glass of Joel Gott Dillan Ranch Zinfandel with my meal. Zinfandel is a bit of a heavy choice to pair with seafood - but I was really in the mood for something a little richer, and wasn't so concerned with how it paired with my meal. 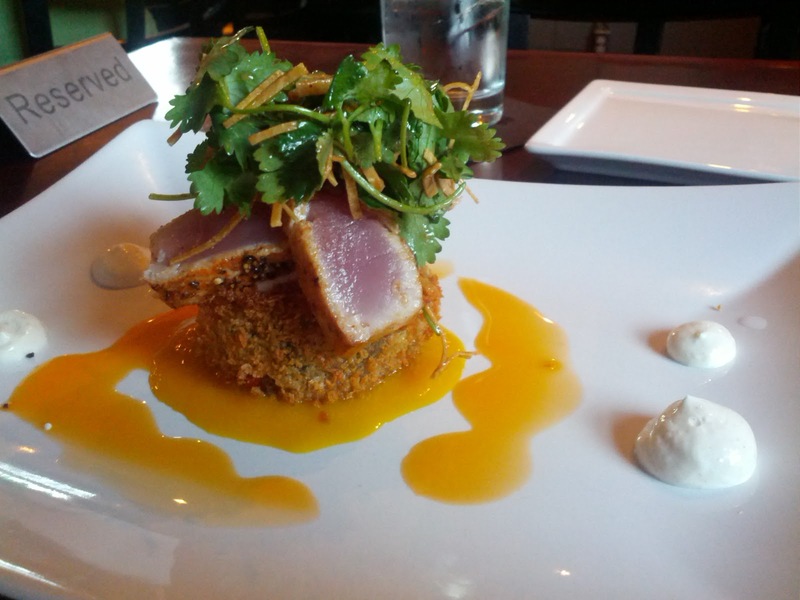 If you're ever in Greensboro, be sure to stop by 1618 Seafood Grille for a great meal!